Founded in 1899, The Association of Catholic Colleges and Universities (ACCU) formed to represent the community of Catholic colleges and Universities in the United States. Connected to the universities and the church, the ACCU functions as a support for universities and offers opportunities through work at member institutions. The published infographic on Catholic Higher Education and Environment offers great examples of Catholic institutions intentionally caring for creation. The infographic features three different environmental initiatives at Lourdes University in Ohio. To be directed to the homepage for the ACCU click here. To be directed to the infographic published by the ACCU click here. In 2013, several seminary friends set out to bring ecological and faith groups together and to “create a lasting affection toward the natural world.” The EcoTheo Review publishes art on their website and through their digital quarterly. Sharing writings and art, their active website and blog continue to publish posts in between official publication of the journal. The journal can be purchased and submissions can be made through their website. Click here to be directed to the website. For the month of June, I will be interviewing different religious denominations in the village of Marwa in Tanzania. There are a total of five different denominations within this rural village: Pentecost, Lutheran, Muslim, Seventh-day Adventist, and Catholic. The purpose of these interviews is to ultimately help the OSU Maji Marwa project learn more about the people of Marwa in order to offer them the best possible assistance. This is also a personal research project. My original plan was not to make a post about each of these interviews. However, after interviewing in a few of the denominations, I changed my mind. I first spoke with the Pentecost ya Umoja Marwa church, which translates to Pentecost Church of Unity in Marwa. I first met the pastor, Mbatiani, and he radiated light. We do not speak the same language, but I could feel the love his smile radiated. After interviewing him and a few of the parishioners, they asked me if I could share their message of love with my friends in America, so I asked them if they would like me to make a post and they very excitedly agreed. So, I thought I would make one post about this specific church and their views on the relationship between sustainable community development and their religion. Subsequently, after interviewing the Masji min auwarami, which translates to Mosque of Muslim Unity, and the Marwa Seventh-Day Adventist church, I have decided to write a post about each of the different denominations I interview. I am inspired by the positivity and love that the religious leaders and parishioners have towards me, a complete stranger from across the world who does not even speak their language. I think that it would be unfair for me not to share these messages, and so with the blessing of my collaborators, I will be posting small descriptions of my conversations along with pictures and videos I have taken along the way. In June 2014, the University of Dayton became the first Catholic university in the United States to announce their divestment from coal and fossil fuels. Members of the university staff see this move as part of the university’s commitment to “being a responsible steward of the Earth’s natural resources.” This decision was commended by the president of the Association of Catholic Colleges and Universities. Their decision was one inspired by faith reflection as well as a commitment to financial stability for the university. Beyond divesting from coal and fossil fuels, the university has taken further steps to move their campus toward efficiency and sustainability. A signatory of the of The American College and University President’s Climate Commitment (ACU PCC) and a member of other sustainability committees, the university now has two full time employees who work to improve campus sustainability and offers academic programs in these areas as well. The University of Dayton is also home to the Hanley Sustainability Institute. Click here to be linked to The University of Dayton’s site on their efficiency and sustainability initiatives. Click here to be directed to the Hanley Institute homepage. 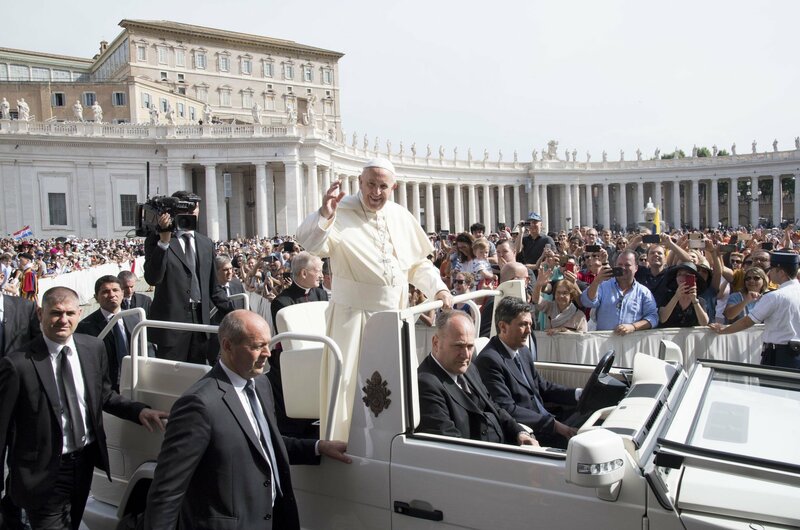 Pope Francis continued his efforts to uplift climate change as a focus of global Catholic action with a conference of oil company executives at the Vatican in early June 2018. 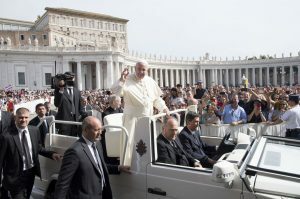 The pope, who has called for a swift energy transition away from fossil fuels and to more renewable energy sources, praised progress made by big oil companies while pushing for even further change. In his statements on climate change, Pope Francis argues for our present duty to care for the gift of the earth for ourselves as well as future generations. He also recognizes that the poor will be disproportionately affected by global warming. The Global Catholic Climate Movement has followed the pope’s directive and removed funding from organizations which support fossil fuel. Catholic universities, like Notre Dame, are working on plans to remove fossil fuels from their own energy production. For more on Global Catholic Climate Movement click here. To be directed to the article originally published on the New York Times click here. 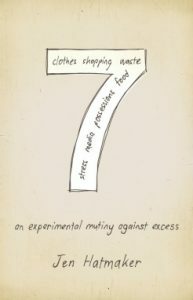 Overwhelmed by the excess in her own life, Jen Hatmaker and her family set out on a project they called “Seven.” Highlighting seven areas of excess, they committed to living a little more simply every month. Originally published in 2011 and updated in 2017, 7 has been utilized for book studies in many Christian faith communities. For those overwhelmed with the task of implementing creation care in their own lives, Hatmaker’s memoir tells of her family’s practical and faith inspired experiment. 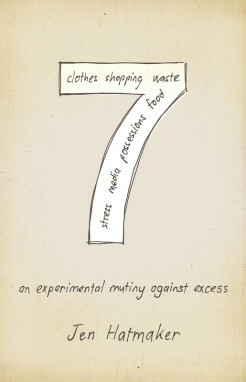 More information about Hatmaker’s project can be found on her blog. Hatmaker’s book can be found here and through your favorite book retailer. One book recommended by EEN. Image courtesy of creationcare.org. 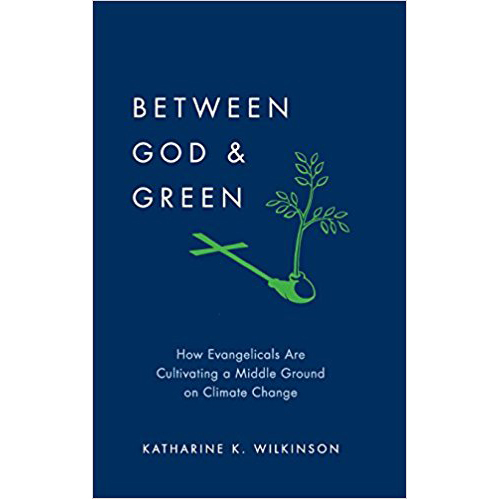 The online resource page for the Evangelical Environmental Network (EEN) offers many helpful resources for clergy and lay persons looking to engage their faith with care of the environment. This page gives introductory resources for those entering the conversation as well as practical implementation of creation care. Sermon starters and devotionals provide links for personal or community consideration of scripture and environment. It also links to books recommended by the EEN in Creation Care, Food and Food Policy, National Parks and Public Lands, Sustainable Business, and Children’s books. This section of the page may be especially useful for those looking to do a book study in creation care. Click here to be directed to the EEN’s resource page. “Climate Change and Christianity – An Interview with Brian McLaren” was released on April 26, 2017 and is part one of a two part conversation on climate change and Christianity. Guest, Brian McLaren is an author, speaker, activist, and public theologian. His work as a pastor led him to begin writing, and he has published numerous books on faith and Christian life. McLaren unpacks some of the science of global climate change, and its everyday effects for human life around the world. Looking at the dangers of a changing climate, McLaren turns to faith as the inspiration for advocacy and change. 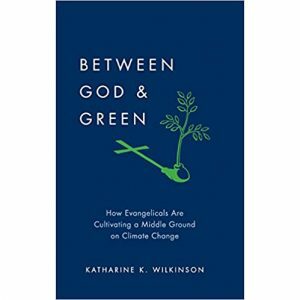 In his own words, “Ultimately, climate change is a spiritual matter.” McLaren attributes reluctance to accept or take action to prevent climate change in part to a certain kind of eschatology. He then goes on to discuss instances in which average congregations inspired by care for God’s world made real changes to combat climate change. The podcast concludes with McLaren’s own recommendations for any Christian wanting to learn more about creation care. 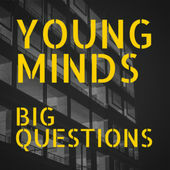 Find this episode of YMBQ on apple podcasts here, Youtube here, and on other podcast providers. For more information on Brian McLaren, click here to be directed to his personal website. On July 5, I spent the day at a World Environment Day celebration in a camp known as Loresho on the outskirts of the village of Ruvu Mungano in the district of Same in Tanzania. Loresho camp has been established by the Tanzanian government to help relocate people who have been affected by the flooding of the Ruvu River. The guest of honor for the ceremony was the Regional Commissioner who spoke of the relief the government was providing to the people and also how all the people of Same can make a difference on World Environment Day. The focus for the celebration was planting trees, which was done at the end of the ceremony to show a good example. 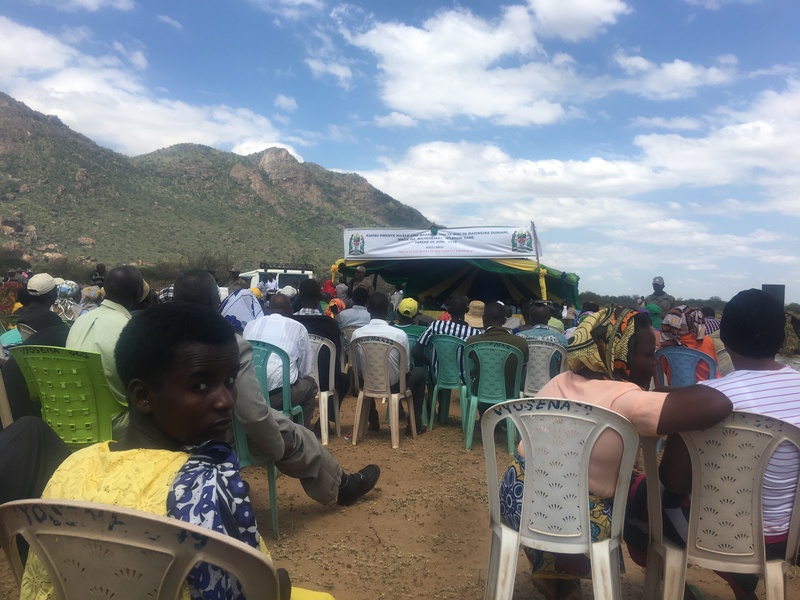 After the regional commissioner spoke, the regional bishop of the KKKT (in Swahili it is Kanisa la Kinjili la Kiluteri Tanzania) Northern Diocese Lutheran Church spoke about World Environment Day as well. Because the ceremony was given in Swahili, Mr. Gerry Mmbaga, who works for the Kilimanjaro Hope Organization (Kiho), did his best to translate it for me. The Bishop spoke about the Bible, and how God created the world but he created the man last. As he created the first man, Adam, he ordered him to take care of each and every thing concerning the environment. He also discussed how conserving the world was ordered by God because the environment is life; without the environment there is no life. He emphasized that God created the world first and the man last and ordered the man in the Eden Garden to take care of the environment. The translation from Swahili to English can sometimes be tough, but the main idea remains. If you would like to read more about Kiho, you can click here. If you are interested in learning more, I will be posting more about the religious organizations in Marwa, a village in the Same district, and how they engage with sustainable community development.